← IOS 6, is Here, its real and it’s Fabulous! Miracle on 34th Street? Tim Cook sends Macy customers to Gimbals, Wall Street Boys have their day! Jeez, if you listen to all the dopey commentary out there you would think Apple had a problem on their hands, Let’s step back a minute #1 Apple walks a fine line when it comes to software, for the most part Apple places apps on their devices to set a bar for third parties to emulate. From day one, Apple’s has not made it their mission to produce the best software product, rather they will offer a product to fill a needed application gap. Apple believes that great software sells great hardware the Apple 2 made history because of a spreadsheet called Visicalc. Mac needed MacWrite before MSFT produced Word & Office. It is what has always set them apart from Microsoft, they wish to encourage third-party companies to produce great software, Apple wants a diverse echo system. #2 The new Map App has been fine for me so far but if I don’t like it, which is the case with the new podcast app I will look to a third-party. 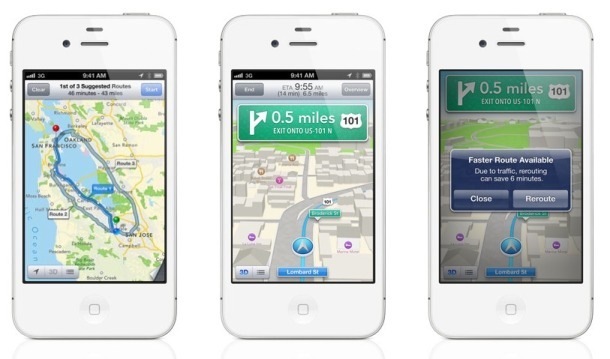 There must be one hundred navigation apps out there, priced from $.99 to $79.99. Right now the competition is exploiting an issue (they need something) and the Wall Street boys like to play the ups and downs so they add fuel to the fire.